Kenny looks after the kids and loses one of them while Dave and Beth spend a weekend out of town at a hotel with some unusual people. The Barrys celebrate their anniversary. The Barrys celebrate Christmas after a rough Christmas Eve at the mall. OK, but pales in comparison to Barry. 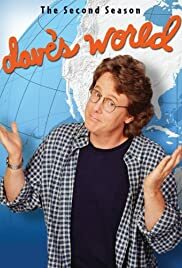 With some good guffaws tossed in here and there, "Dave's World" just doesn't hold a candle to real-life Barry's words of wisdom. Harry Anderson does the best with what he's got, but even that couldn't save this sinking ship. Worth a view or two, but I'd rather read Dave Barry's real columns.